Despite what you might read on one of the national lead-generation websites, replacing a failed blower motor is considered a major repair, and is typically one of the more expensive repairs homeowners face as their furnace gets older. I’ll explain why the ‘national average’ blower motor repair price on sites like Home Advisor is totally unrealistic in major cities like Denver below, and I’ll also cover why it’s worth hiring one of the better furnace repair companies to repair your furnace. 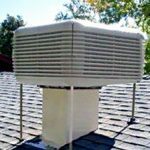 You can also be sure that I’m going to tell you the truth about what it will actually cost to have the blower motor in your furnace replaced by a qualified company with professional HVAC technicians if you live here In Denver, CO. If a company tries to charge you more, then they are overcharging you. If a company tries to charge you less, they aren’t giving you all the benefits you get with the top companies in town. Maybe they still hire technicians who can’t pass a background check or a drug test, use cheap replacement parts, or skimp on customer service, but they are definitely cutting corners somewhere. If your furnace has a standard blower (fan), that is to say the blower isn’t a variable-speed model, then which brand your furnace happens to be is much less of a consideration in the cost to replace it. 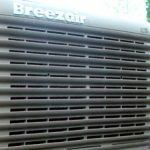 This articles will focus on the standard type of blower motor (not variable-speed), and how much it costs to replace it if you live here in Denver. 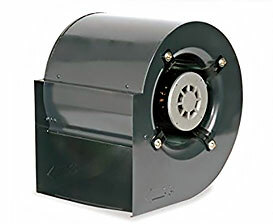 If you have a variable speed furnace, and want to know how much it costs to replace a variable speed blower motor, you can find that information in the next article titled How Much Does It Cost To Replace A Variable Speed Blower Motor in Denver, CO.
Just as the cost to replace the blower motor depends on what type of furnace you have, the cost will also be determined in large part by what type of furnace repair company you want to handle the repair for you. Do you want hire ‘some guy’ who works out of his van because one of your neighbors said the guy does cheap work? Or do you want to use one of the well-known, reputable furnace repair companies in Denver since the technician will be working inside your home and around your family? 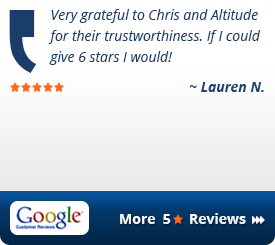 Most homeowners in Denver prefer to use one of the more established companies here in town, so I’m going to cover the range you can expect to pay when you hire one of the well-known companies with more than 100 Google reviews replace the blower motor for you. As long as you choose from the top-tier of the best furnace repair companies here in Denver, you can expect to pay anywhere from $1,000 to as much as $1,600. And yes, the cost can actually vary that much between companies for the exact same blower motor repair. There are some companies that may quote you a price as low as $750 over the phone to replace your blower motor, but they aren’t giving you the whole story when they quote you that price. 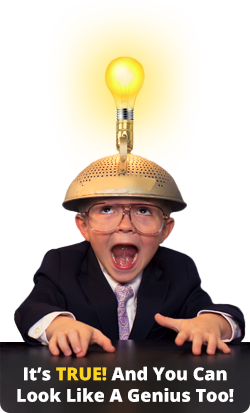 Let me explain… when you replace the blower motor in your furnace, the technician should always replace the capacitor too. The same companies that will quote $750 over the phone to replace the blower motor will then tell you it’s going to cost another $300 – $400 on top of that because the capacitor needs to be replaced as well, but a new capacitor isn’t included in the blower motor repair cost they quoted you. Don’t be surprised if the technician then tells you that in order to warranty that new blower motor, you will have to have your blower wheel cleaned also. There goes another $350 – $400. While it’s perfectly legitimate to recommend cleaning a dirty blower wheel, the repair you thought was going to cost $750 now costs $1,500 or more. Cleaning the blower wheel is not something that would (or should) be included as standard in the typical cost to replace a blower motor. Needing to clean the blower wheel isn’t something that would be necessary 100% of the time like a new capacitor would be. 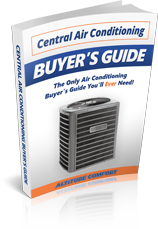 There are several reasons, and you can read more about why the furnace repair prices on the big home-improvement lead generation websites are so far off base if you care to. The Cliff Notes version is that they put out general pricing based on what the small contractors who buy leads from them charge as a ‘national average.’ They don’t dig into what the actual repair costs run in specific cities, and trust me, the cost varies widely among different states and regions of the country. There is also no distinction made for the quality of the company doing the repair, or their quality of their technicians. 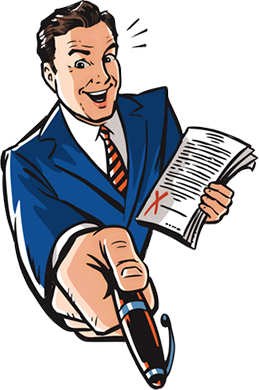 Simply put, you would never find a well-known, reputable company here in Denver to work as cheaply as the prices you’ll find on national lead-generation websites. Because they would be out of business very quickly. If you’re going to spend time calling around asking for quotes ti replace your blower motor, be sure to ask if the cost includes a new capacitor, or if that is a separate charge. 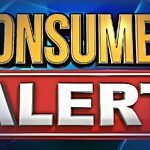 You’ll probably find that none of the top furnace repair companies in Denver will quote repair prices over the phone, because it’s always hit & miss to do that without a technician actually in front of the furnace, and in truth, the top companies also provide a lot of value beyond just replacing the blower motor. 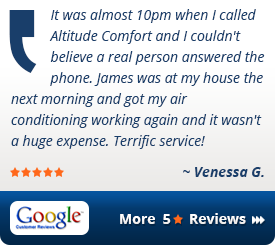 In case you were wondering… Yes Altitude Comfort is solidly in the top-tier group of Denver’s best furnace repair companies. 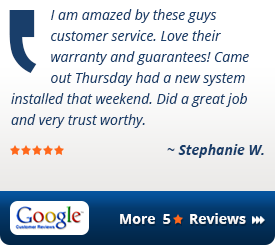 And obviously we hope you will call us when you need furnace repair service. But if you choose from any of the well-known companies in town, you’re going to have a better experience than if you rely on ‘some guy’ with a van who fixed your neighbor’s furnace. If you’d like to get in touch with us about your furnace repair you can call us, or send us a message, and we’ll take good care of you. 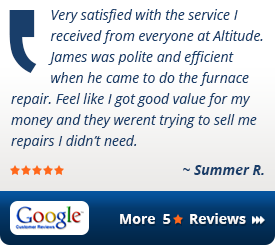 If you’d like to find out more about our furnace repair process, and the benefits for our customers, we appreciate you taking the time to check out what we have to offer.